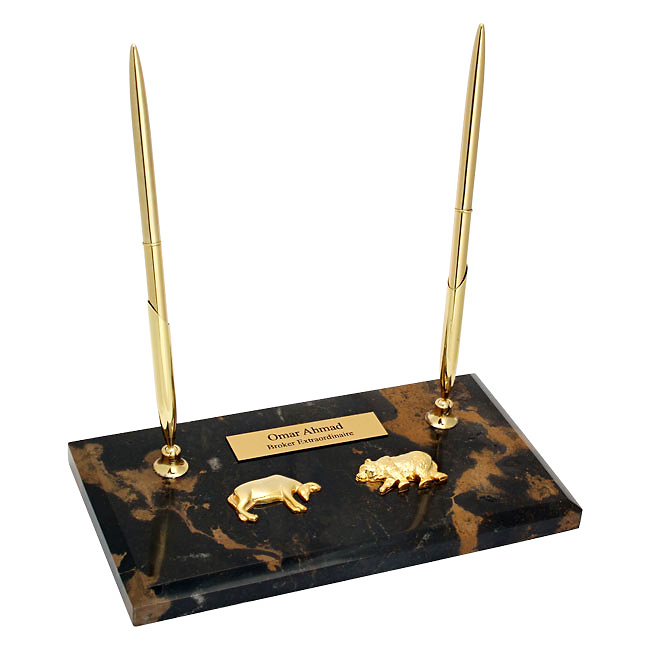 A unique gift for a high stakes wall street trader or an intern getting his first taste of the financial industry, this genuine marble dual pen stand is sure to impress. 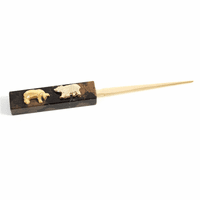 The base is made of solid black and gold marble. 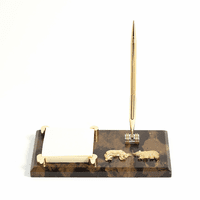 It has two polished gold pen stands, with pens includes, mounted on the base. 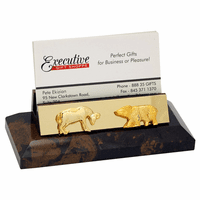 Centered between, down towards the bottom of the pen stand, are two emblems, one bull and one bear the symbols of the financial industry. 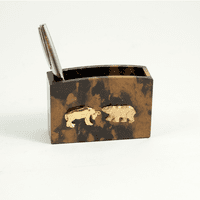 They are made of polished brass and are facing off against one another. Add a personalized plate above these emblems to create a personalized business gift any financial professional will adore.